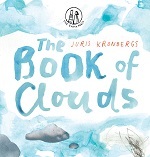 The Emma Press has launched The Book of Clouds, a poetry book for children by distinguished Latvian-Swedish poet Juris Kronbergs. 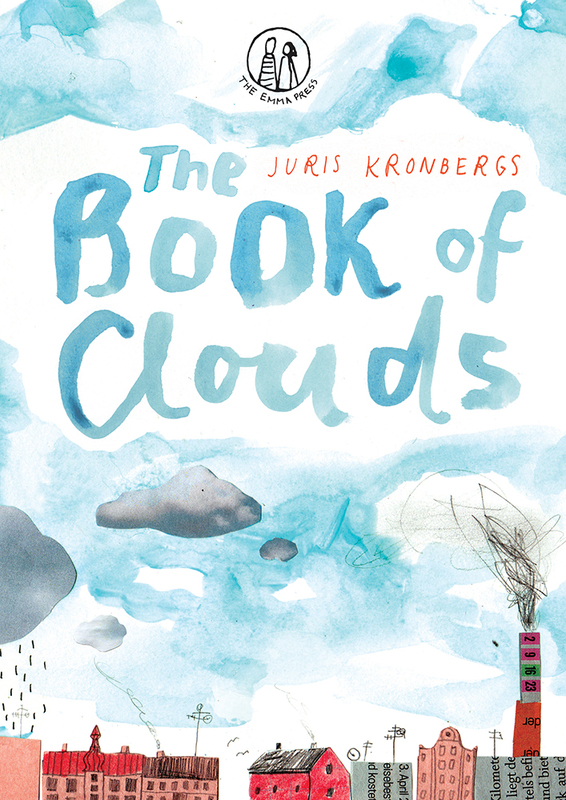 The Book of Clouds, written by Juris Kronbergs and illustrated by Anete Melece, is a collection of poems about clouds which is aimed at children aged 8+. 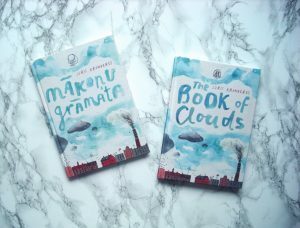 The book contains child-friendly taxonomies of clouds, lots of cloud poems and illustrations, and room for children to note down and write about their own observations. Juris Kronbergs is an acclaimed Latvian-Swedish poet and translator, with more than 12 books published of his own poetry and 60+ translations between Latvian and Swedish. He is currently the secretary of Latvian PEN, and has previously worked as a cultural attaché in the Latvian embassy in Sweden. Kronbergs was awarded the Latvian Order of the Three Stars in 1998, the Latvian Writers’ Union Prize in 1997, and he has been shortlisted for the Annual Latvian Literary Award on multiple occasions, winning the 2016 award in the ‘Best Work in Poetry’ category for his collection Uz balkona / bet ja visu laiku… [On a balcony/ what if all the time… ]. He is one of the most distinguished Latvian poets of his generation, and the most prolific translator of Latvian poetry into Swedish. The book contains poems about the fantasy lives that clouds might live alongside bite-sized guides to scientific fact. Kronbergs teaches children through imaginative play, and expands their knowledge and curiosity about the skies above. The book was originally published in Latvian as Mākoņu grāmata (Liels un mazs, 2010), and has been translated into English by Mara Rozitis and Richard O’Brien. The translation and publication of the book was supported by the Latvian Writers’ Union and Ministry of Culture of the Republic of Latvia. The poet Juris Kronbergs and artist Anete Melece received a special mention from the jury of the International Baltviks Prize in 2010 for the outstanding union of text and illustration in The Book of Clouds, with this commentary: ‘This is a book that invites young, as well as not so young readers to investigate clouds and find out not only what they are called and what they look like but also what they do, what they feel and think.